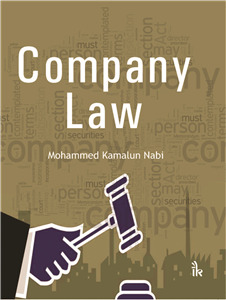 Mohammed Kamalun Nabi | I.K International Publishing House Pvt. Ltd.
MBA, M.Com, M.Phil, Ph.D., L.L.B. is Senior Assistant Professor in the Department of Commerce and Business Studies, Jamia Millia Islamia, Central University, New Delhi. Dr. Nabi has twenty-four years of teaching experience and has supervised 7 PhD scholars. To his credit, Dr. Nabi has nineteen books and near about sixty research papers published in leading journals and periodicals of national and international repute. He is associated with various journals either as Editorial or Advisory Board Member. Dr. Nabi is a life member of Indian Commerce Association, Indian Accounting Association, and Orissa Commerce Association.